This week we are sharing with you some of our favourite family Animal Movies. Our eldest son, Dash, was absolutely MAD on animals when he was young. Any and every movie that contained animals was must-watch family viewing. 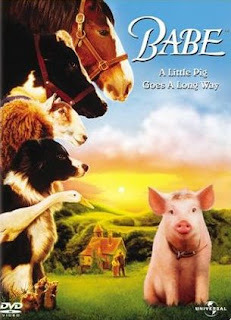 Some of the animal movies we watched way-back-when remain family favourites today. I hope you'll find something from our list that will appeal to your offspring too, whatever their ages! "Little Kid Watchability" is based on children aged 3-6 years. Movies with PG are more suited to older, not-so-sensitive children. This one is an absolute timeless classic. We watched it endlessly when the kids were young but hadn't seen it for years until we ordered it from Fatso last week. I thought it was about time to reintroduce the kids to this awesome movie and it hasn't lost anything in the intervening years. A great story about forgiveness, fathers, life and redemption. So many themes here - it makes for great conversation about the meaning of life. LITTLE KID WATCHABILITY: This is a (G) so it's great for all ages. 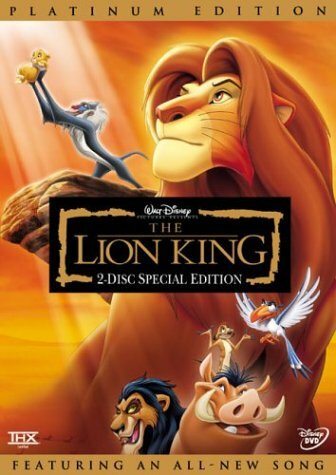 SCARY BITS: The hyenas and the fight between Simba and Scar might upset very sensitive children. GROWNUP WATCHABILITY: Mr G and I thoroughly enjoyed rewatching this awesome animated movie. A top family movie. The 2005 remake is set in England during WWII. Great actors, including Peter O'Toole & Samantha Morton. We all loved it, even us grown ups. 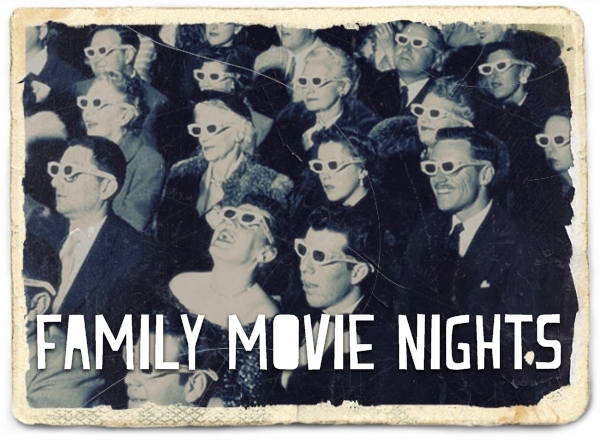 One of the best family movie nights. Lots of things to discuss with the kids, life lessons - "loyalty, perseverance" etc. Fine for older pre-schoolers. LITTLE KID WATCHABILITY: Held the interest of all the kids, both when they were little and when we rewatched this recently - they ALL loved it. SCARY BITS: Not really any. Just one where two vagrants try to steal from Lassie's "vertically challenged" friend and his dog gets killed (may want to fast forward if your kids are very sensitive). GROWNUP WATCHABILITY: Great, very well done, not sugary or overly sentimental but done with good humour and grit. 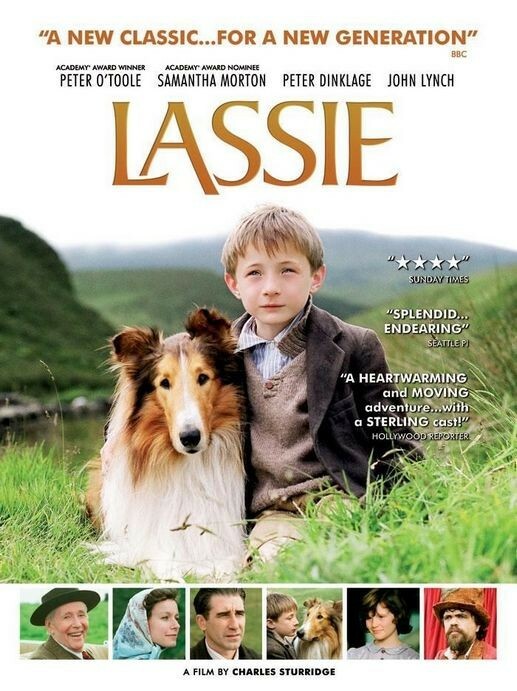 Another top family movie, set in Scotland during WWII. It's the story of a lonely little boy who finds a strange egg that hatches into something he's never seen before - could it be, the Loch Ness Monster?? Very imaginative, heart-warming story. LITTLE KID WATCHABILITY: Held everyone's attention throughout, both when they were little and more recently when we watched it again. there are always lots of questions about the possibilities of the Lochness Monster - and it's great for introducing a little bit of history. SCARY BITS: Actually hardly any scary bits! Unsure why this is rated PG. 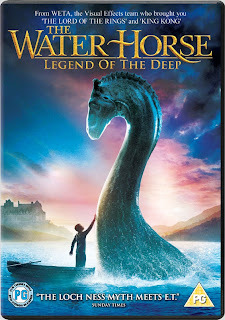 The music can be a bit foreboding sometimes, especially when the boy realises there is something hatched in his potting shed - but it turns out to be the very cute baby water horse, so nothing scary happens. We didn't have to forward any bits. This is an oldie but a goodie. Great for littlies with all the animals. A good story (very well done) with lots of action and a dash of humour and morality. This is another simple story well told (the best kind of movies). We have this one in our collection and it's been ages since we watched it, but we all enjoyed seeing it again. I remember watching it for the first time as an adult at the movies and loved it then too. Fine for pre-schoolers. LITTLE KID WATCHABILITY: Excellent for all ages, there's enough action and humour to hold the attention. GROWN-UP WATCHABILITY: Very watchable, clever and funny. A surprisingly good family movie! When we first watched it I was expecting a cheesy over-the-top American adaptation, and nearly didn't get it this one out, but I must say Mr G and I were both pleasantly surprised. This was a warm, touching, feel-good film, with some truly funny one-liners. It has some pretty classy voice talent too - John Cleese and Julia Roberts among them. We all loved it. LITTLE KID WATCHABILITY: Great. The kids were young when we first watched this and both Dash and Miss Fab liked this one and asked for it again. Miss Fab said she didn't like the spider (nothing personal against Charlotte, just has a thing against all spiders in general). The story is easy to follow and well told. The characters are very likeable. Probably best for kids aged aged 4+ because it deals with death (of the spider, Charlotte). ADULT WATCHABILITY: Great. Talking to another dad at soccer the next day and he was also raving about this movie. I think me and Mr G both had a little tear at the end. But it's not a sad movie in a depressing way, just very touching.